Back in January, a report came in revealing that Google was looking for opportunities to go beyond being the world’s leading mobile platform provider. According to the information, the search giant was actively working on something called “project Nova” which involved partnering up with US mobile carriers like Sprint and T-Mobile, in order to be granted access on their networks. The bottom line is that Google was said to have ambitions of practically becoming a mobile carrier, in order to manage voice calls and mobile data. 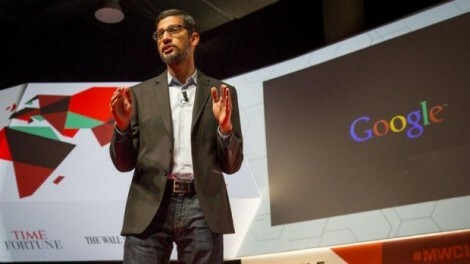 Until now, this was just mere speculation, but this week at the Mobile World Congress in Barcelona, Google’s Senior Vice President Sundar Pichai confirmed that the company’s “mobile virtual network operator” plans would be announced in the upcoming months (as seen at Slash Gear). However, the official mentions that Google won’t go all the way this time. The service is not meant to be a fully-fledged mobile network that will compete head-to-head with existing mobile carriers. Instead, Google is aiming lower and says the initiative will help the company experiment with novel smartphone services. The search behemoth will just carry or resell wireless services from larger operators. Pichai made a parallel with the company’s Nexus lineup, which employs help from manufacturers like HTC, Samsung, LG and so on. These phones allow Google to gain experience hardware-wise and to also devise new strategies related to services, but are not actually challenges for these companies when it comes to market supremacy. We were not provided with much information on what sort of tech Google plans to use to make its wireless carrier plans come through, although the company’s exec did hint that the network they have in mind could be capable of restoring a dropped call. Even if done at a small scale, Google’s upcoming service has the potential to change the US wireless industry. For example, the company’s Google Fiber project, which brings super-fast Internet service to consumers in various markets, has already impacted the way traditional telecoms do business, forcing them to cut costs and increase speeds. With Google entering the wireless industry, things could get turned around again. We will have to wait and see what Google has to say about it in a few months.